Likud MK issues reminder that "the American president holds an Israeli prisoner," as Obama prepares to visit. 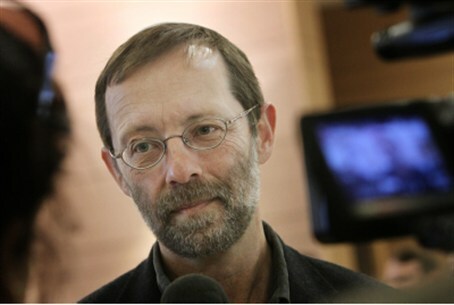 MK Moshe Feiglin (Likud / Yisrael Beytenu) wrote a status message on his Facebook page Monday reminding readers of the fact that the United States continues to hold Jonathan Pollard, as "an Israeli prisoner." "As Obama's visit approaches, we should remember that despite the special bond with the American nation, the American president holds an Israeli prisoner whom we sent on an important and dangerous mission," the rookie MK wrote. "Our brother Yehonatan Pollard has been sitting in jail for almost 28 years. For a large part of that time, he has been held in conditions worse than those in which Gilad Schalit was held. "I have visited my brother Yehonatan five times already, and his physical condition is fast deteriorating. His release depends only on the resolve of the government of Israel."